The resources you’ll find below are documents that have been distributed by motor vehicle crash injury prevention programs. These programs were translated and developed from evidence-based injury prevention research. 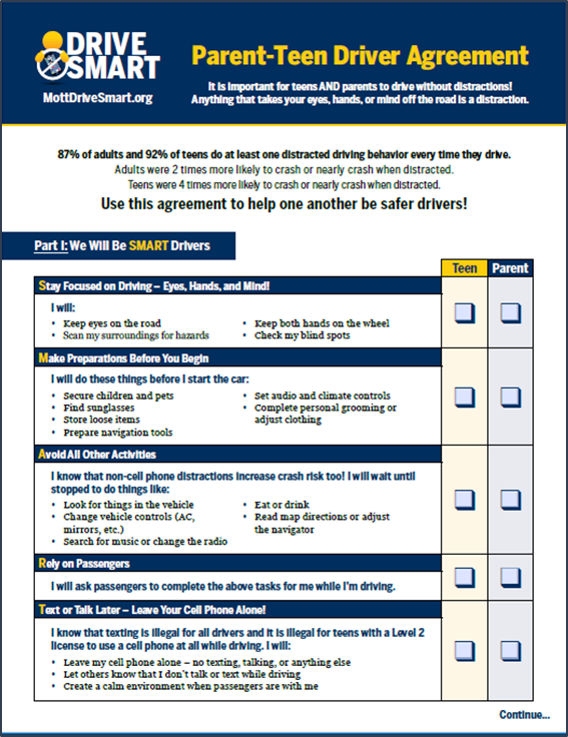 This handout highlights the Checkpoints™ program, an evidence-based teen driver safety program that involves an interactive parent-teen driving agreement. All materials are available for free for all states at youngdriverparenting.org. Checkpoints was originally developed by Dr. Bruce Simons-Morton of the National Institute of Child Health & Human Development, an agency of the U.S. Department of Health & Human Services. 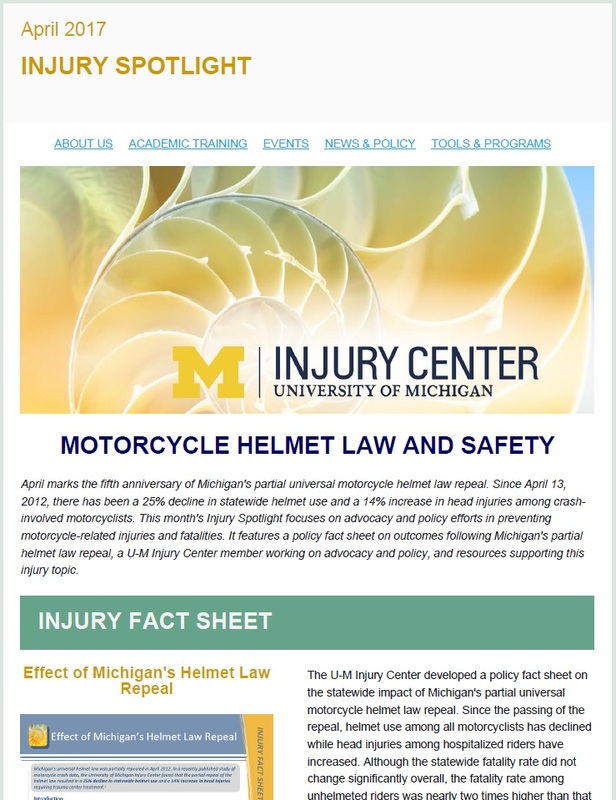 The program was adapted for the Web by the faculty of the University of Michigan Injury Prevention Center in two projects supported by the Centers for Disease Control and Prevention and the Michigan Department of Community Health (MDCH). Distracted driving agreement for a parent and teen to hold each other accountable for safe driving. Evidence-based resource developed with University of Michigan Transportation Research Institute. Clickable form. Parent resource for teaching their teen distracted driving prevention. 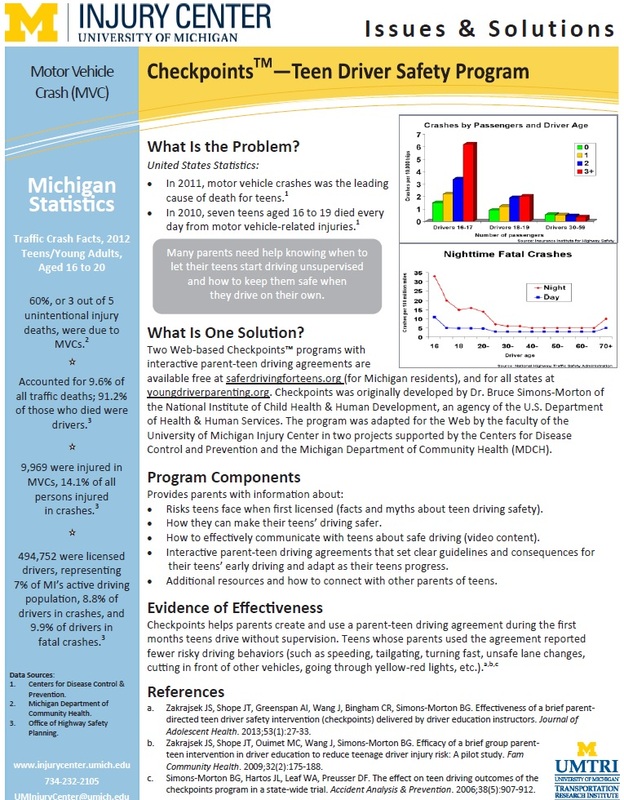 Evidence-based resource developed with University of Michigan Transportation Research Institute. Injury fact sheet, member highlight (Dr. Jennifer Martin), and resources.